D. Grahame Shane, with panelists Carola Hein, Brian McGrath, Georgeen Theodore, and Anthony Vidler, will present and discuss the emergence of postwar urban design as a global phenomenon. 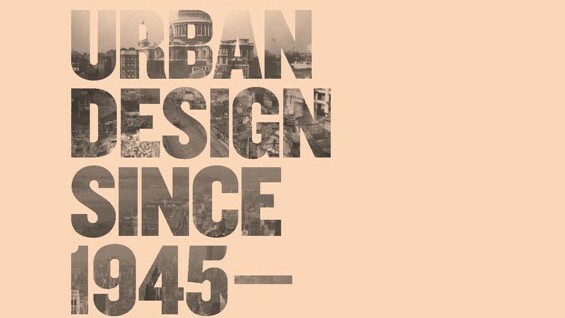 The program, which will begin with a historic overview by Shane, will focus on the themes developed in his recently published Urban Design Since 1945 – A Global Perspective. By outlining the four dominant models in urban design over the last sixty years—the metropolis, the megalopolis, the fragmented metropolis, and the megacity—Shane provides a framework for analyzing the development of, and issues behind, contemporary urban form. D. Grahame Shane teaches Graduate Urban Design at Columbia University and undergraduate students at The Cooper Union in New York. He also lectures for the Bartlett School of Architecture Graduate Urban Design Programme, University of London and at the Polytechnic in Milan, as well as participating in master classes at the University of Venice. He has lectured widely and published in architectural journals in Europe, the United States and Asia. He co-edited with Brian McGrath the Architectural Design title Sensing the 21st Century City: Close-Up and Remote, published in November 2005. His book Recombinant Urbanism: Conceptual Modeling in Architecture, Urban Design and City Theory was published by John Wiley & Sons in June 2005. Carola Hein is a professor at Bryn Mawr College where she teaches in the Program in Growth and Structure of Cities. Her publications include, The Capital of Europe: Architecture and Urban Planning in the European Union and has edited and contributed to several books, notably Brussels: Perspectives on a European Capital and the forthcoming Port Cities: Dynamic Landscapes and Global Networks. Brian McGrath, Associate Professor of Urban Design at Parsons The New School for Design, is the founder and principal of Urban-Interface, an urban design consulting practice that fuses expertise in architecture, ecology, and media. His books and publications include: Digital Modeling for Urban Design, Transparent Cities, and Sensing the 21st Century City (co-edited by Grahame Shane). Anthony Vidler, Dean of the Irwin S. Chanin School of Architecture of The Cooper Union, is a historian and critic of modern and contemporary architecture. His publications include The Architectural Uncanny: Essays in the Modern, Warped Space: Architecture and Anxiety in Modern Culture, and the recently published The Scenes of the Street and Other Essays. Admission is free for League members and The Cooper Union students/faculty/staff, and $10 for non-members.